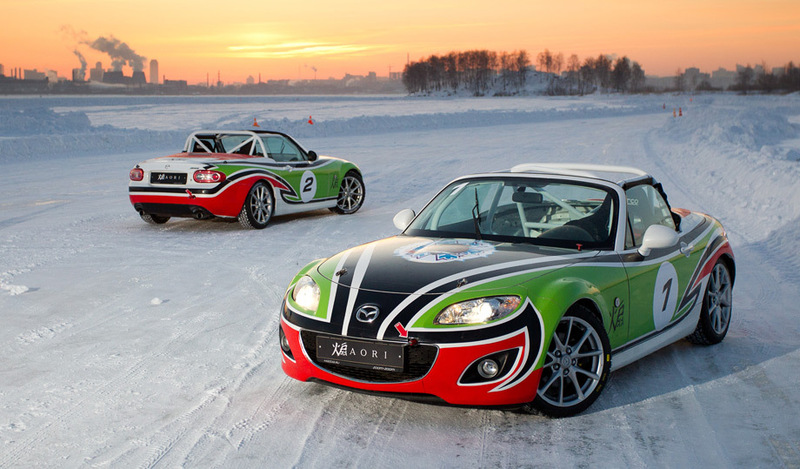 The Aori (Japanese for "fast wind"), is a stripped out race car version of the MX-5 and was the official car for the Mazda Sport Cup series in Russia. 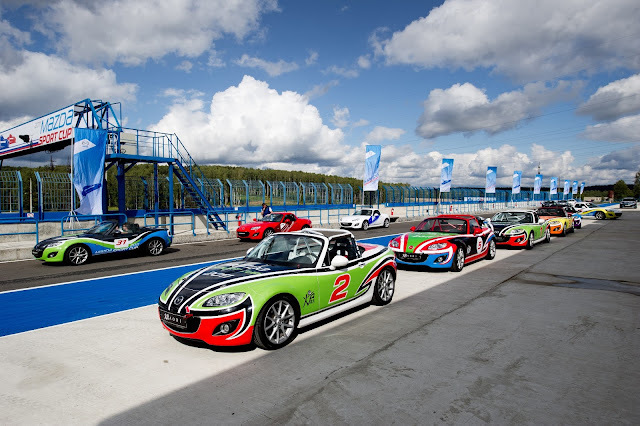 Based on the 2.0 6-speed RHT model, the racing upgrades included stiffened suspension, lowered ride height with optimised wheel alignment settings, Sparco Evo race seat, removed retractable hardtop but retains the rear deck cover, full roll-cage for safety, and a suede sports steering wheel. 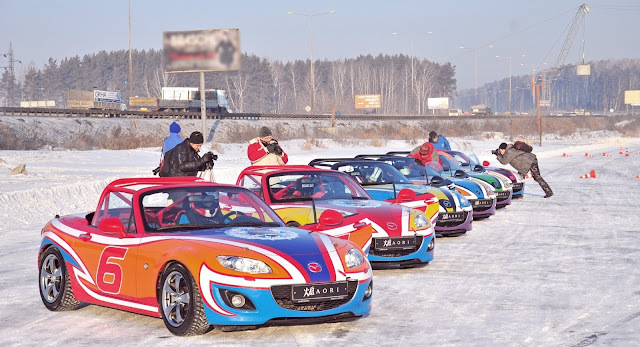 The car was shown at the 2012 Moscow International Automobile Salon where it showed off its numerous vibrant race liveries. 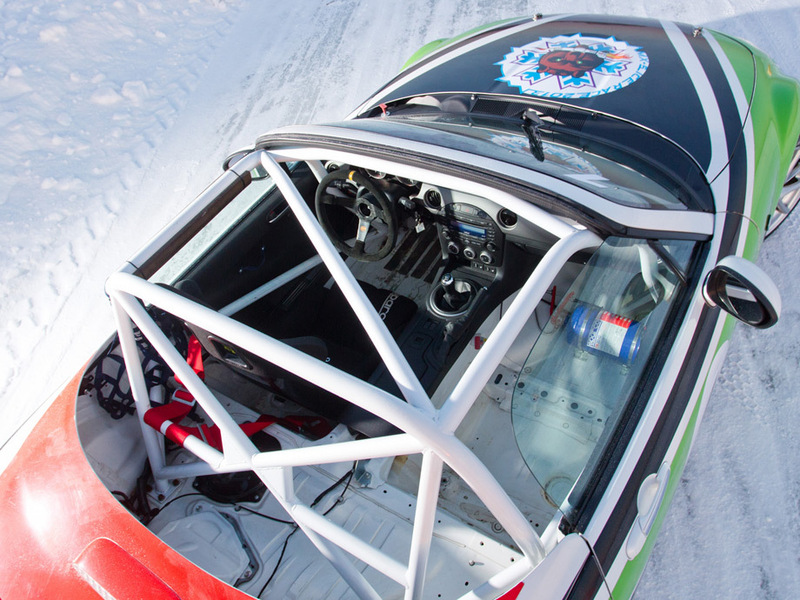 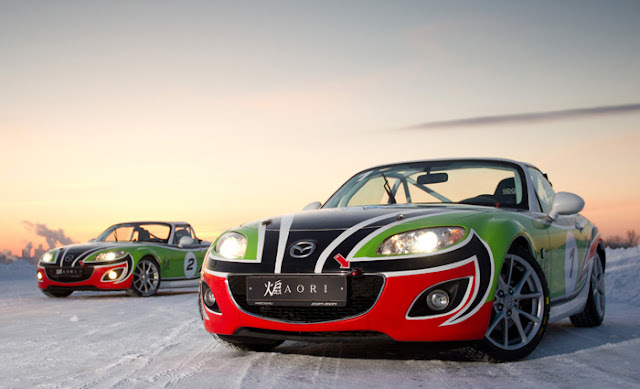 You can see the Aori at the Mazda Ice Race in the video below.